Beautiful and pristine vector landscape. Sunset image of a temple in Asian. Buddhist architecture of the building, big lake and mountains around it. Silhouette of a man approaching the place. 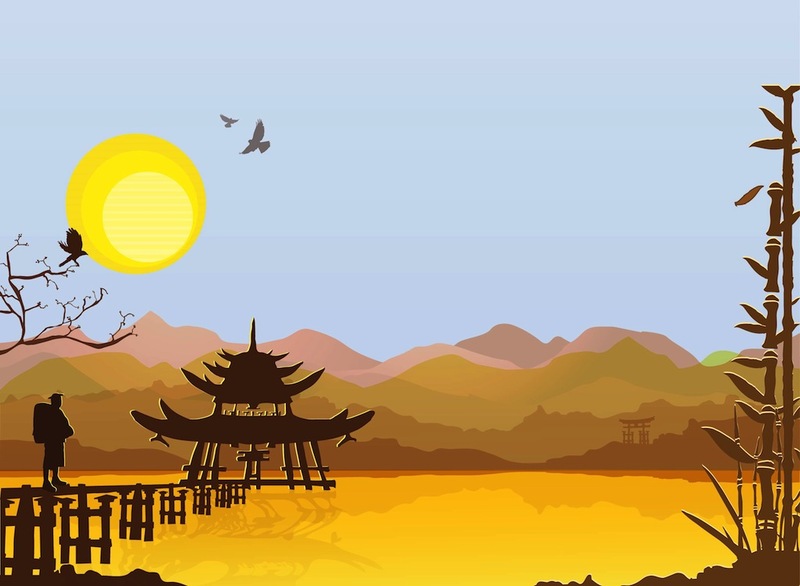 Free vector graphics to create Asia, Asian culture, Buddhism, traveling and religion designs. Tags: Building, Lake, Man, Nature, Silhouette, Sunset, Temple, Water.